When we talk about smart cities, many of the smart city applications we think of rely on linking a vast amount of data from various sources and then making sense of it. An example is data analysis that aims to understand the correlation of pollution levels with traffic flows and the weather. One of the most interesting areas here is how this big data aggregation works, as well as the analytical algorithms that can be applied to the data. 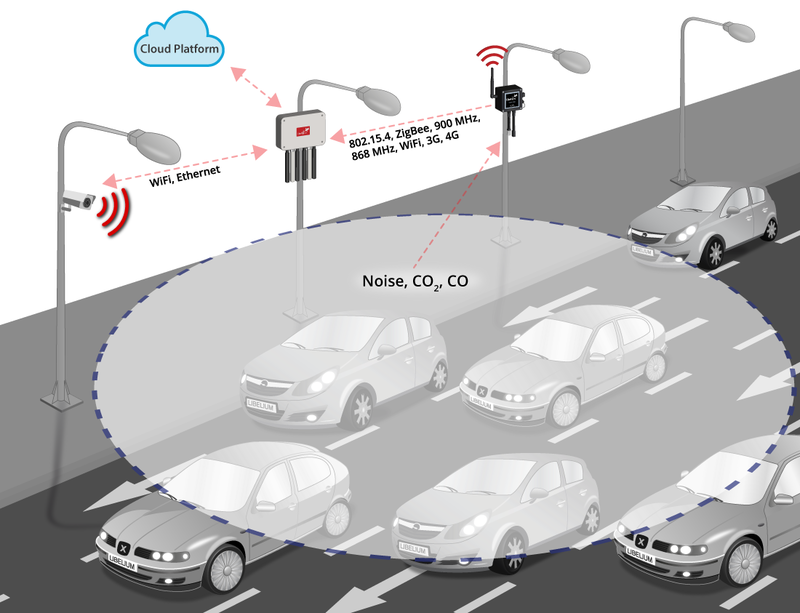 The starting point of data aggregation is the collection of information from the different sensors. Axis is the market leader in network video. Over the years their cameras have evolved to cover various smart city applications, including collecting traffic related data such as vehicle counts, average speed per traffic lane, traffic lane occupancy, vehicle classification, and whether traffic is static or moving. Extended camera capabilities are making it possible to gather people and crowd related data including people counting, crowd head counts and crowd capacity and volume. And more possibilities will be added in the future. However smart the cameras are though, there are some things that they will probably never be able to do due to technical limitations or cost considerations. For instance, video cameras can see and hear, but they can’t smell, touch or taste. To close this gap and drive the development of new smart city applications, Axis is partnering with Libelium, a company that develops sensors and multiple sensor hubs. Libelium offers sensors that measure environmental conditions such as air quality, temperature and humidity, water quality, and noise levels, to name a few. 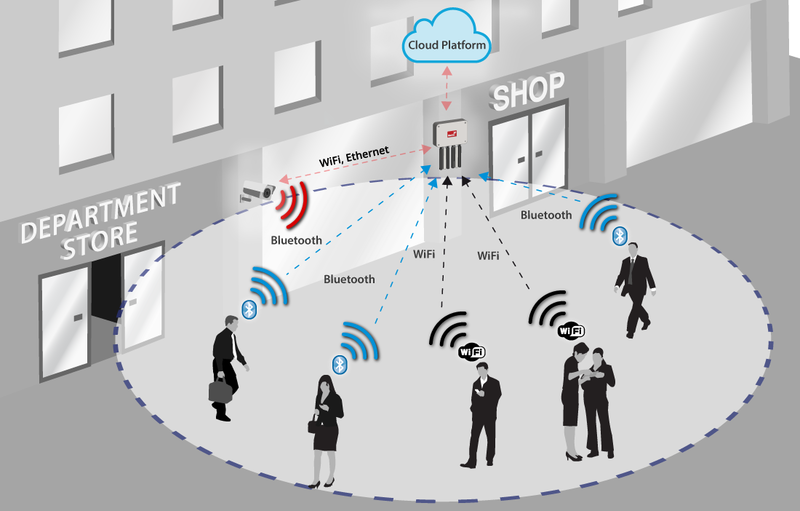 Axis cameras and Libelium sensors can be combined and connected to any cloud platform to allow the collection and aggregation of all these various data streams in an easy and integrated manner. Advanced analytical algorithms can then leverage this smart data aggregation to generate valuable information that can help solve some of the most common urban challenges, and this can be customised for each city’s needs. Definition of a threshold of values which correspond to a normal situation by using a sensor node. In this case with the Plug & Sense! 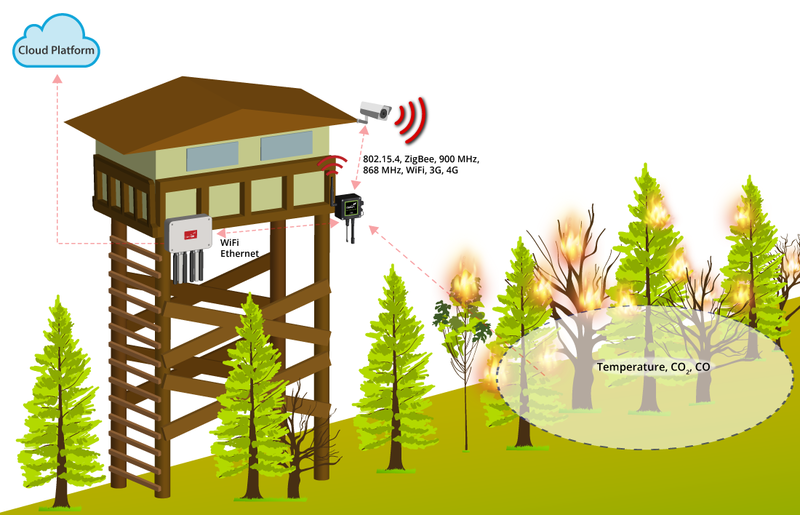 Sensor Platform or the Meshlium Scanner. When the sensor node detects that the threshold of normal values has been overtaken, it activates the camera, which starts recording or taking photos. These images are sent to a cloud platform in order to be used to manage this anomalous situation. The application of big data analytics is an exciting area to work in – we are only just seeing the beginnings of what will be possible in the future. Read the original article at Axis.com.